Idiopathic Pulmonary Fibrosis (IPF) is a rare disorder that affects your lungs and makes even daily activities impossible. Find out all about this condition, including its various causes, symptoms, treatment options and prognosis. It is a chronic and progressive form of lung disease which results in scarring of lungs. This is an interstitial lung condition and is one of 200 disorders that give rise to similar symptoms although having varying causes. The scarring of the lungs generally initiates at the edges and then progressively proceeds towards the core of the lungs. This makes it more and more difficult to breathe for an affected person. Over time, the development of fibrous scar tissues in the lungs significantly affects the oxygen supply of the body. This makes IPF a disabling health condition that may have fatal consequences. Prolonged exposure to dusts or environmental contaminants. Inorganic dusts such as silica, asbestos, beryllium and metal dusts as well as organic dusts like animal proteins and bacteria are proved to be critical. Certain medicines like antibiotics (Sulfasalazine, Nitrofurantoin), anticonvulsants (Phenytoin), antiarrythmics (Propranolol, Amiodarone), chemotherapeutic agents (Bleomycin, Erbital, Methotrexate, Oxaliplatin). IPF is also frequently linked with upper respiratory disorders, such as tuberculosis and pneumonia. The exact connection between IPF and these diseases is not known. Interstitial lung diseases or ILD are also linked to connective tissue diseases such as lupus, scleroderma, rheumatoid arthritis and sarcoidosis. Age is also supposed to be a causative factor for this condition. Most people affected by IPF are older and aged between 50 and 70. The symptoms of IPF may not be evident at the onset of the disease and may only be apparent when the disease has progressed to an advanced level. When the health condition progresses and the lung damage become more severe, patients suffer from breathlessness even while doing simple physical activities like showering or getting dressed. In later stages, conversing with others and eating food become increasingly difficult. People with a prolonged history of smoking are mostly found to be suffering from IPF. Individuals exposed to high levels of industrial smoke and dust are also significantly affected by this disorder. Hence, avoiding smoking or dusty environments can help prevent this disease to a certain degree. However, a total prevention is difficult as the exact causes responsible for this health condition are unknown. A rare type of IPF is also known to affect individuals genetically. An X-Ray examination of the chest is carried out as a screening process. However, the results of this test alone are not conclusive enough to indicate that the patient is suffering from IPF. Hence, additional tests are carried out to determine such results. This test provides doctors with sharper and precise images of the lungs of a patient. It assists them in identifying certain specific clinical patterns which indicate that the patient is having IPF. The aim of conducting these breathing examinations is to check whether the lungs can exchange carbon dioxide and oxygen properly. It helps determine the amount of oxygen present in the bloodstream. It is a medical examination that helps directly measure oxygen, carbon dioxide and arterial pH through an arterial puncture. Bronchoscopy helps in examining the main air passages of the lungs with the help of a flexible tube called bronchoscope. It is performed with the aid of a bronchoscope. It is an easy way to collect cell samples from lower respiratory tract. It is believed to be the most potent tool to evaluate patients considered to be suffering from IPF. Hence, this test is considered to be the “Gold Standard”. This is a 6-minute walk test (6MWT) conducted to determine the response of the lungs to exertion. Although the methods for conducting this test may vary from one institution to another, a treadmill or a stationary bike is generally employed. Blood pressure, oxygen saturation levels and EKG are monitored during this exercise test. The histological specimens used to diagnose IPF should be large enough so that pathologists are easily able to detect the essential lung architecture. Small biopsies, such as the ones obtained through transbronchial lung biopsy during bronchoscopy, are generally considered to be insufficient for diagnosis of IPF. Hence, it is essential to obtain larger biopsies through Thoracoscopy or Thoracotomy. There are very little traces of interstitial chronic inflammation. At present, there are no known cures for this disorder. Since no consensus has yet been reached on what should be the ideal method of treatment for IPF, the treatment methods mentioned here should not be taken as a standard by everyone. This is due to the fact that the method of treatment varies from one patient to another and entirely depends on the medical practitioner handling a case of IPF. Medications, such as cytotoxic drugs and corticosteroids, can reduce inflammation in some patients. Oxygen supply is required to treat patients having lower oxygen levels in their bloodstream. Pulmonary rehabilitation might not totally cure the disorder; however this procedure may help the patient to exercise without experiencing any breathing difficulties. 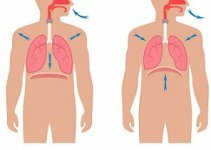 Lung transplant might be required to treat patients with advanced stages of IPF. Presently, clinical studies are being conducted to discover new treatment methods for curing patients with IPF. The condition has a poor prognosis. Certain patients show some signs of improvement when they are given cytotoxic drugs or corticosteroids. In most cases, however, the disease grows worse even with medical care. The worsening of this condition can happen slowly or quickly. A lot of IPF patients need supplementary oxygen for sustenance and some may require a lung transplant. This is due to the fact that IPF patients have very low life expectancy. Most individuals with IPF die within 3 to 5 years from the time when they are first diagnosed with the disease. The Idiopathic Pulmonary Fibrosis Foundation is a nonprofit organization, the aim of which is to spread awareness of the disease, find a proper cure, stand for the community of pulmonary fibrosis and establish an environment of compassion and cooperation for the patients and their loved ones. Idiopathic pulmonary fibrosis is a chronic lung disorder that can often prove to be fatal. Hence, it is necessary to provide patients of this disorder with timely care and attention to keep its symptoms of under control.